Kolb’s model suggests that all learning happens due to real-world experiences which then help people form mental models of that experience. Some people actively experiment with the new learning and create further experiences on the subject. It is the first part of the model. The learner has a new experience, say for example using a machine or a tool or going to a new place for the first time. When the person uses the tools or visits a new place he has a concrete experience that sets the foundation for the subsequent processes. 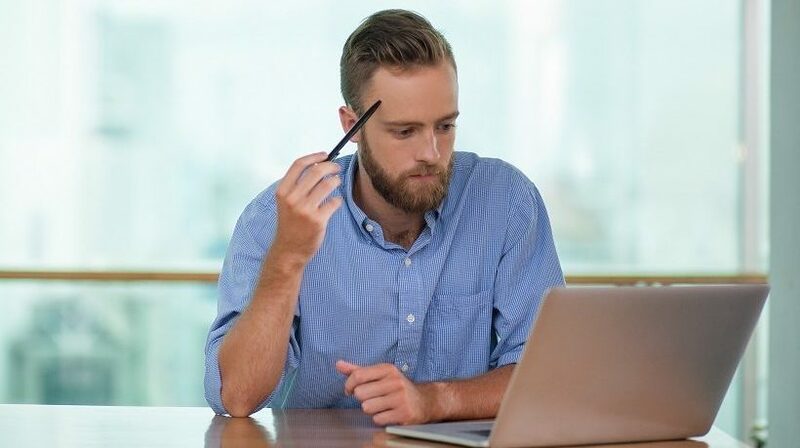 After the experience, the person reflects on the experience and tries to understand the differences between his/her prior understanding of the subject. For example, if the person has heard great things about a destination, but has contrarian experiences, then he or she makes those observations and calls or labels those experiences as bitter. 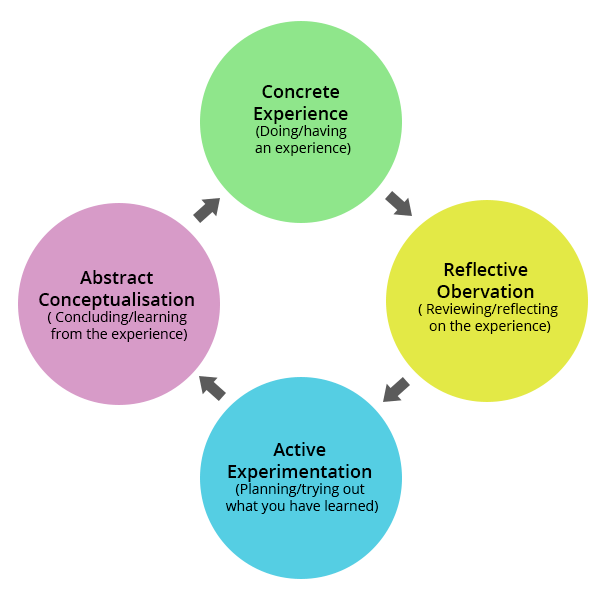 After reflecting or observing on the matter deeply, the learner comes up with new ideas. So, in our example, the person may chose never to visit that destination, or chooses another destination, or starts his own travel agency! After forming new ideas, the person actively works on the idea. So in our example, the learner may travel to new places, or start his own travel agency, or even develop an app that helps other travelers make informed choices. However, not all learners do all the 4 activities. There are some who perform active experimentation, there are those who only watch and reflect on the experiences, and then there are those who form new ideas. The first style is about people accommodating what others have to say. So, they go with general perceptions or with the consensus. If something appeals to them, they will do it as they like to have concrete experience and active experimentation based on gut feelings. They are basically people who like to feel things. As these people like to have a feel of things and make mental notes through observations and reflection. They are most likely to have ideas. They like to brainstorm ideas as they like to look at things from various angles. They love to gather information and use their intuition and imagination to provide solutions to problems. They are sensitive and are open to feedback from others. People with converging learning style are active experimenters and like to provide practical solutions to any given problem. As they are low on the feeling and watching part, they are less likely to spend time with others. They like to spend time alone and work on various parts of a problem. As they are strong in doing and thinking, they need constant stimulus to work on. Accountants and people working on hands-on stuff have generally converging learning style. They are the analytical people. The preferred learning style is to watch and think through things. They are adept at creating mental models and are good at science jobs. They are looking to understand the logical aspects of a problem. Like converging learning style, they too like to work alone and not be with people. They like to organize things in a clear logical manner. 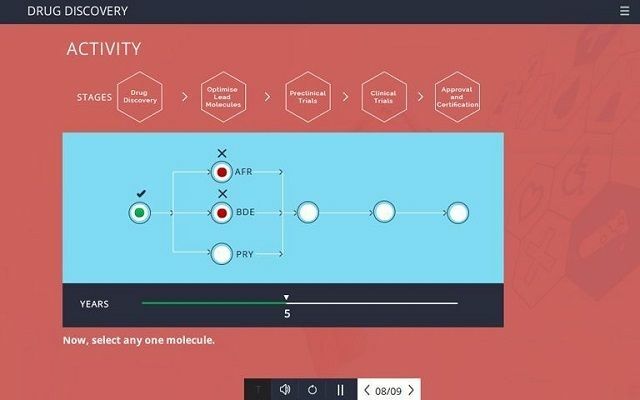 In this custom eLearning course, we were targeting the product and sales team of a pharmaceutical company. The product and sales teams preferred learning style is converging, that is they are active experimenters and are doers. In other words, they are go-getters and are action-oriented people. Thus, to teach how much time it takes for a drug to be discovered and approved for market release, we weaved around a story with a lot of facts and data points to help them understand it better. We provided a decision tree activity which showed them how selecting a potentially incorrect molecular combination can delay the drug discovery process by years. To conclude, Kolb’s theory is a great model for understanding learning styles and applying it to create the right custom eLearning courses. I hope you found it useful.